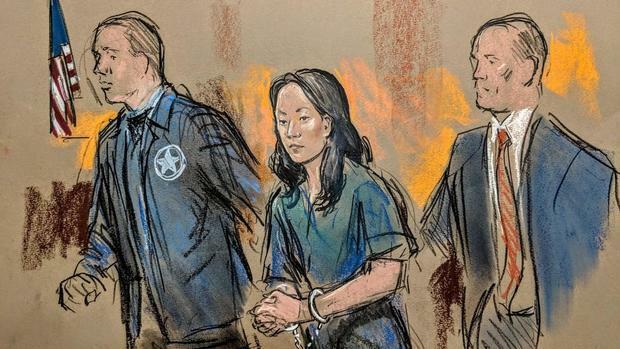 Yujing Zhang was arrested in March for lying to Secret Service agents at Donald Trump's Mar-a-Lago resort in Florida, to gain access to the private club. According to investigators, the 32-year-old Chinese national had malware on her person, and behaved more like a bumbling spy than anything else. So who is she? • One USB thumb drive containing malware. • She had no swimsuit. The Secret Service agents apparently believed her. She briefly gained access to the club during the President's visit there that weekend. In addition to the electronics she carried into the resort, Zhang also had a signal detector, five SIM cards and more than $7,600 in U.S. currency in her room at the Colony Palm Beach hotel, about two miles north of Mar-a-Lago, Garcia said. A signal detector is used to detect hidden video or audio-recording devices. Garcia noted that Zhang isn’t facing espionage or related charges at this time, but the government continues to look into that possibility. Zhang entered the courtroom in handcuffs, wearing a navy blue prison-issued jump suit. She took notes during the hearing. Her lawyer, public defender Robert Adler, said there were innocent explanations for many of the allegations, including having two passports. Zhang’s valid U.S. visa was stamped in an expired passport, which she needed to carry in addition to her valid passport, Adler said. She also showed all the electronics she carried when entering the resort, including when she went through a metal detector, Adler said. And he questioned the Secret Service’s allegation that the USB drive was infected with malware. Get a load of her everyday carry! And what was a federal agent doing, testing out her likely malware on a government computer that wasn't airgapped?